When one thinks of Nashville, the last genre one thinks of is grungy punk. But Nashville is the home base for The Dead Deads and grungy punk is indeed an apt description of their music. Think a cross between The Misfits and Hole and you won't be far off from imagining what The Dead Deads sound like. With a national tour and a quickly growing live and social media following, The Dead Deads are one of 2014's emerging rock artists. Helping Hands Rock Reviews recently had the pleasure of sitting down with vocalist/guitarist Doomy Dead and keyboardist/backing vocalist Hella Dead for an exclusive and revealing interview. Helping Hands Rock Reviews: For our readers and listeners out there who may have never heard of The Dead Deads, can you share a little bit about the band: what kind of music you play, where you’re from, and all of that kind of good stuff? Doomy Dead: Sure. Hella and I are originally from Chattanooga. We moved up to Nashville and we joined up with a few other girls – a couple from Louisville and one from Nashville – and started playing some hard rock in a basement. And one thing led to another and here we are! HHRR: When most people think of Nashville, they usually don’t think of grungy punk rock. So, what’s it like launching a punk band from Music City? HHRR: One very exciting thing that you guys have going on right now is that The Dead Deads have just started a tour with Halestorm. How did that come about? DD: I was on a plane going out to LA and I saw these cool like rocker kids on the plane. It was a Southwest flight, so I was like “I’ll just sit by them.” I don’t generally talk to people when I’m on a plane but they just looked really cool so I struck up a conversation with them and ended up becoming friends with them. That was Joe [Hottinger, Halestorm guitarist] and Lzzy [Hale, Halestorm singer and guitarist]. Over a few months, we’ve just have been friends, hanging out and stuff. One thing led to another and they invited us on the tour. It was all very organic and friend-based. HHRR: When you met Lzzy and Joe on the plane, did you not know who they were at that time and just kinda made a friend not knowing they were Grammy-winning artists? DD: Here’s what I knew…The drummer of our band, Billy Dead, loves Halestorm. Loves them. And she talks about Halestorm a lot. Arejay’s one of her favorite drummers. But I did not know who they were. And I didn’t really realize who they were until [I] said, “Are you playing a show out here?” And they said, “No, we’re just writing.” And I was like, “Oh, cool, what band are you in?” And they said, “Halestorm.” And I said, “Oh, hell! OK, well…The drummer of my band loves you guys!” I did not realize who I was sitting by! HHRR: That just makes it that much cooler of a story, though! HHRR: What period of time elapsed between that fateful day on the plane and now? HHRR: So, how is the tour going so far? HD: It is rocking! We weren’t quite sure what to expect, but their fans are super-gracious and just all well-meaning, coming up to us and thanking us for being on the tour. Of course, their whole crew is great and they’re great. It’s only a few days in and we’re already feeling super at-home with them. HHRR: What is the size of the crowds you’re playing to and how does that compare to the size of the crowds you’ve played to in the Nashville scene? DD: This tour is all theaters and ballrooms, capacities like 1,000 to 2,500. We have played festivals and things for crowds of that size, but there isn’t a venue in Nashville that is that size [that] we’ve played. So, these are the biggest theaters that we’ve ever played in. And we’re playing in cities we’ve never played in before as well. So, it’s very exciting to stand backstage and take a picture out at the audience of people waiting to see us. It’s fantastic! HHRR: Let’s fast forward to 2015 after this tour is over, what do you think will come about for the band as a result of touring with Halestorm? What’s next and what would you like to have accomplished by this time next year? DD: Well, we just released our debut album on the first day of this tour. It’s called Rainbeau. So, we’ll be probably rocking those songs through the Spring. Our musical output is very quick. And we’re assuming that when we get back from tour, we’ll be doing some writing and getting ready to put out another one at some point, probably in the Summer. So, basically we’re just going to keep doing what we’re doing. We’ve made a lot of new friends out here on the road already. We’re assuming that we’re going to make a lot more and hopefully revisit some of these markets on our own. Just see where the journey takes us! HHRR: One last question for you today. 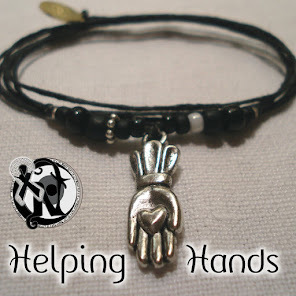 Helping Hands Rock Reviews is all about promoting charities. Is there a particular charity that is close to the heart of The Dead Deads? Any one you want to give a shout out to? HD: Yeah, we love to support Big Brothers Big Sisters. It touches our heart because they make such a difference for kids. 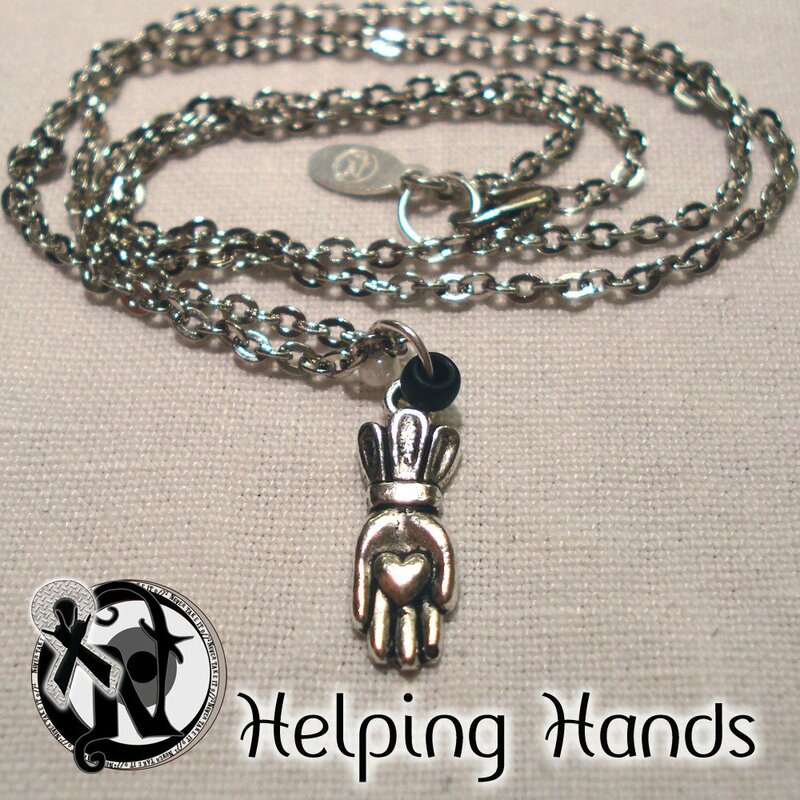 That’s definitely one we love being involved with and helping get donations for. It takes $1,000 to sponsor one kid for a year. It’s not a lot in the scheme of things, but it definitely makes you think about what difference that could make for a kid. We also try to spread the word about an organization called Rock Your Speech, which is helping support arts for kids with autism and using arts and music to help them learn how to communicate better. That’s a very small charity. It’s just being started up by Tom Petersson [of Cheap Trick] and his wife who have an autistic son. So, we try to spread the word about that as well and help get support for them. # of Facebook page "Likes" for The Dead Deads at the time of this writing: 3,109.